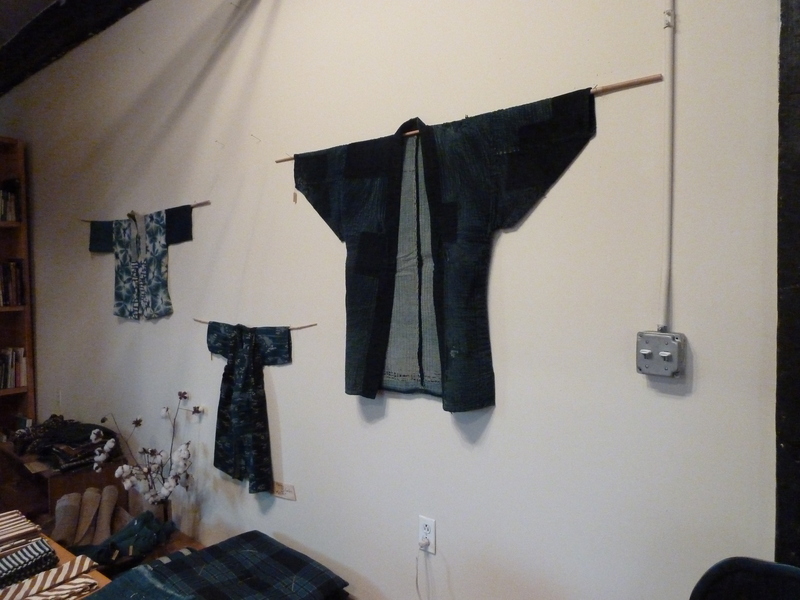 Brooklyn’s Japanese Textile Mecca. | A Continuous Lean. 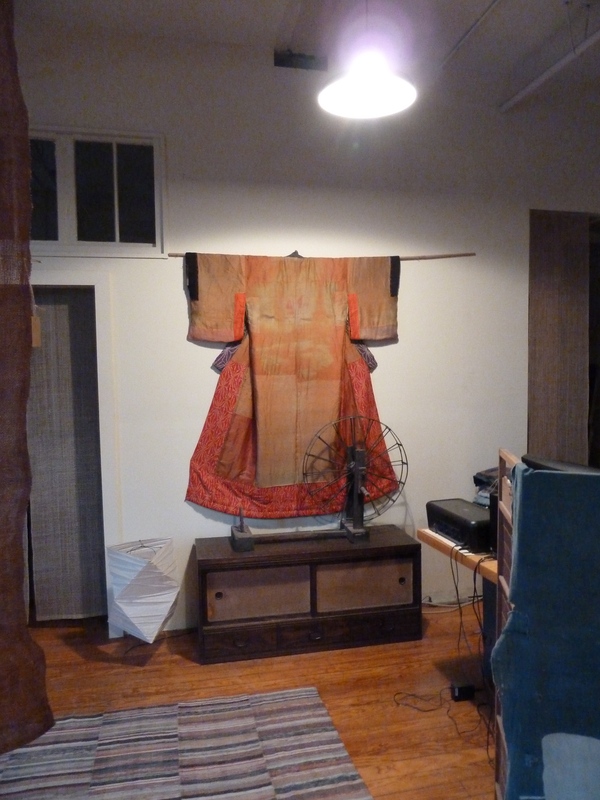 The first thing Stephen Szczepanek pointed out after I arrived at his 1,200 square foot at the tip of McCarren Park in Greenpoint, Brooklyn was that the various stacks of fabric thoughtfully laid out throughout his apartment were organized by type. 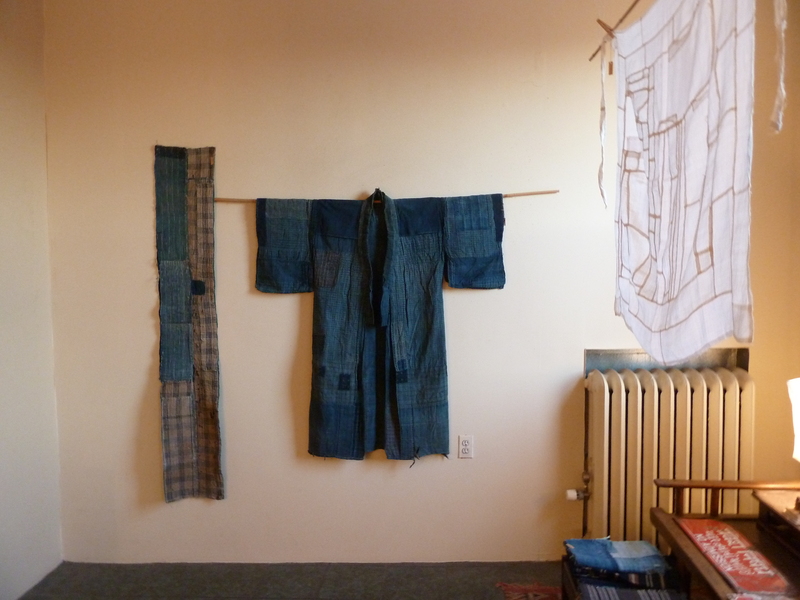 As he explained that he’d just returned from Japan this past month, Stephen pointed at the neat piles, listing off names like Shibori, Sashiko, and Kasuri. In two minutes he had casually rambled off more information about antique textiles than most so-called clothing connoisseurs could amass in their entire lives, but as I discovered over the next hour, this was just a glimpse of Stephen’s nearly encyclopedic knowledge on ancient fabrics, which has manifest itself as Sri Threads. Sri was born during the last gasp of the booming early aughts, after Stephen decided that it was time to turn his love for Japanese fabrics into something more than a passion project. 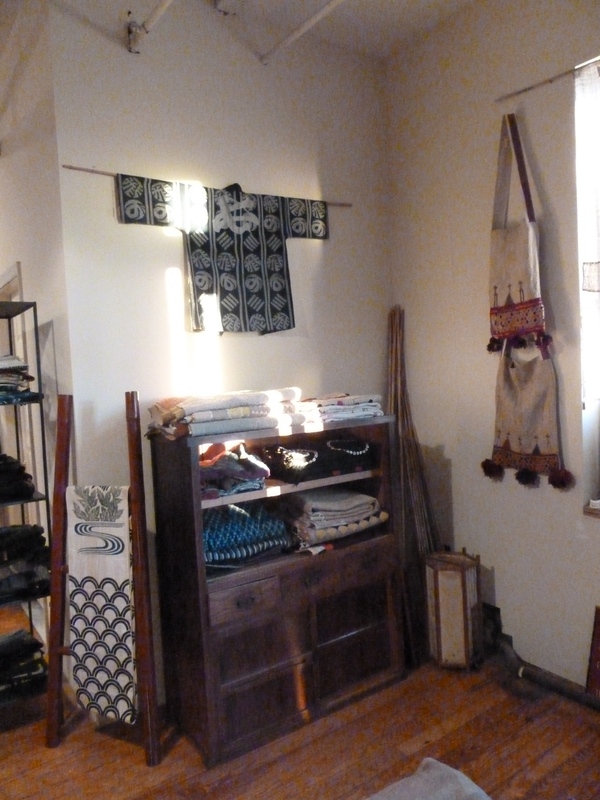 Prior to Sri, Stephen had worked as an art curator, overseeing a private collection of, among other pieces, Asian art, which gave him a first hand introduction to the world of Far East fabrics. After growing weary of his curatorial position, Stephen started his own business in early 2001, opting for the optimistic name Sri, which is a title for the Hindu goddess of prosperity. Unfortunately, in the wake of 9/11 the U.S. economy plummeted, and Stephen struggled with levering the weak dollar against the yen, but he persevered, and over the next decade both his stock and client roster rose steadily. 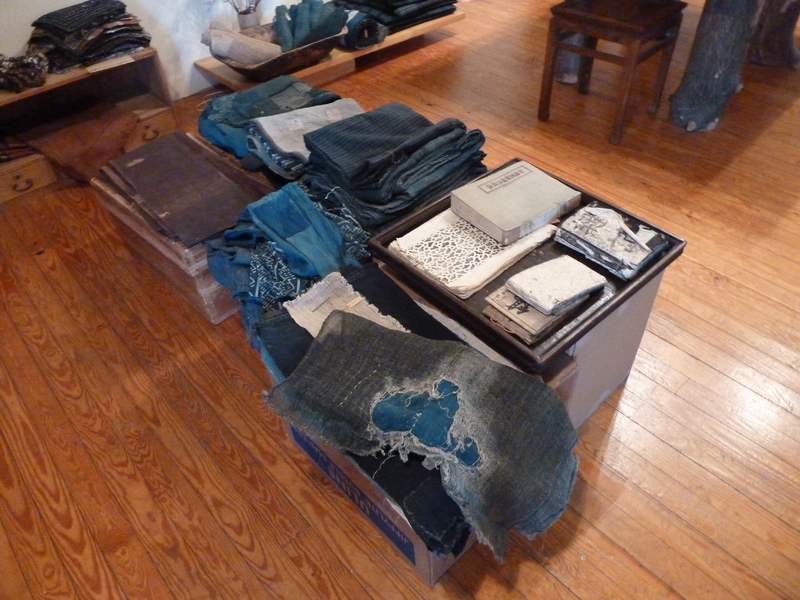 Stephen’s approach to buying is calculated and consistent, structured in response to the intricacies of Japan’s folk markets. 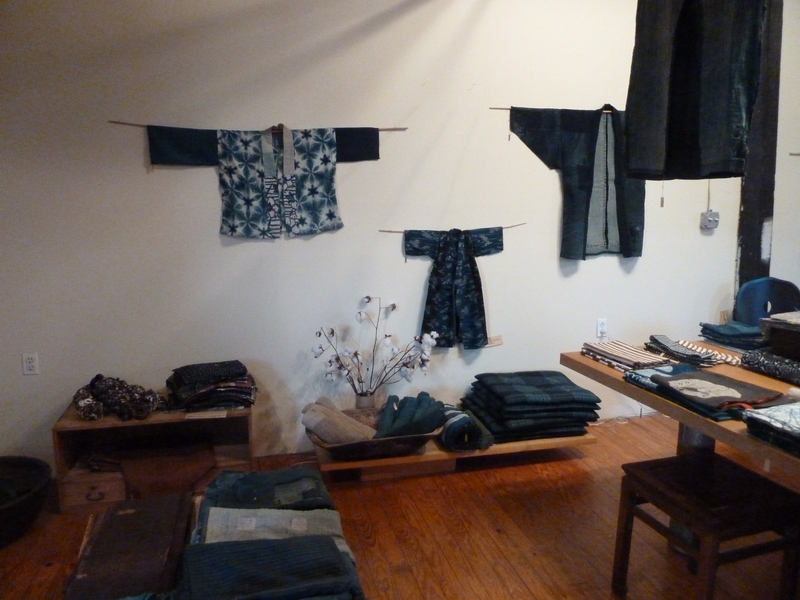 With the pool of available fabrics shrinking each year, even as the number of buyers grows steadily, Stephen casts a wider and wider net, building his relationships with Japanese suppliers to ensure that his personal well will never dry up. 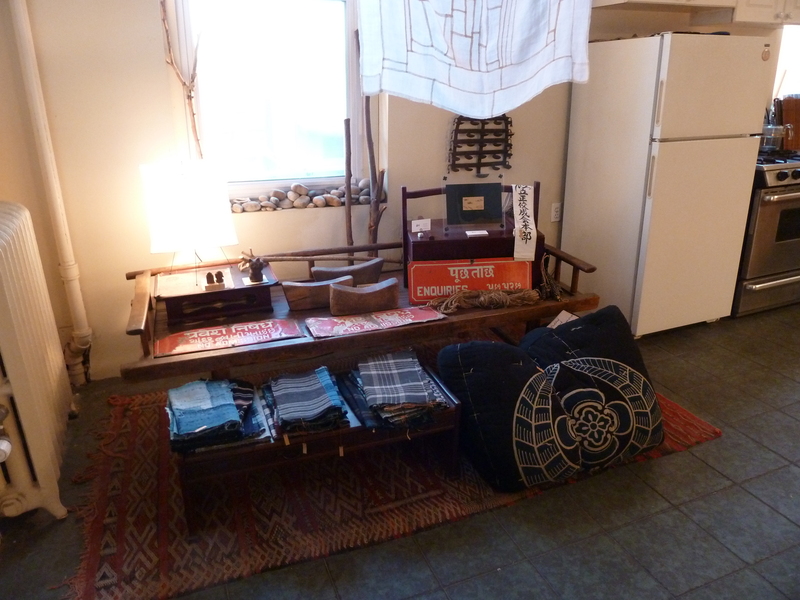 After over a decade of trips to Japan, he has an enviable understanding of what to look for when buying. At one point Stephen states that he can gauge the quality of a piece almost instantly, something he says not as a boast, but rather as a matter of fact, for he’s been doing this long enough to understand that it’s not worth it to waste anyones time. Those aforementioned mounds of fabric might have been categorized by their respective patterns, but what Stephen is really stacking is history. 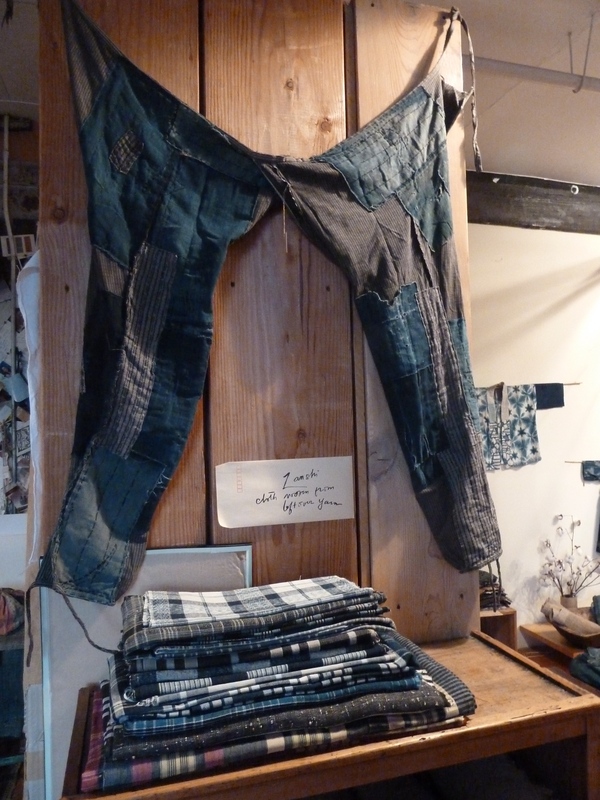 Fabrics such as these, with their hand spun cottons, carefully dyed patterns, and craftwork patches, can reach back centuries, and yet as Stephen points, these were pieces that were meant to be worn hard. This is workwear in its purist form, which is why Stephen’s items, many of which were sewn together a few hundred years ago are of a higher quality than almost any reproductions you can find today. Lying somewhere between a shop and a museum, Sri is a space that needs to be seen first hand, so if you’re ever in New York, go pay Stephen a visit. It’s probably a hell of a lot closer than Japan. This looks so cool! 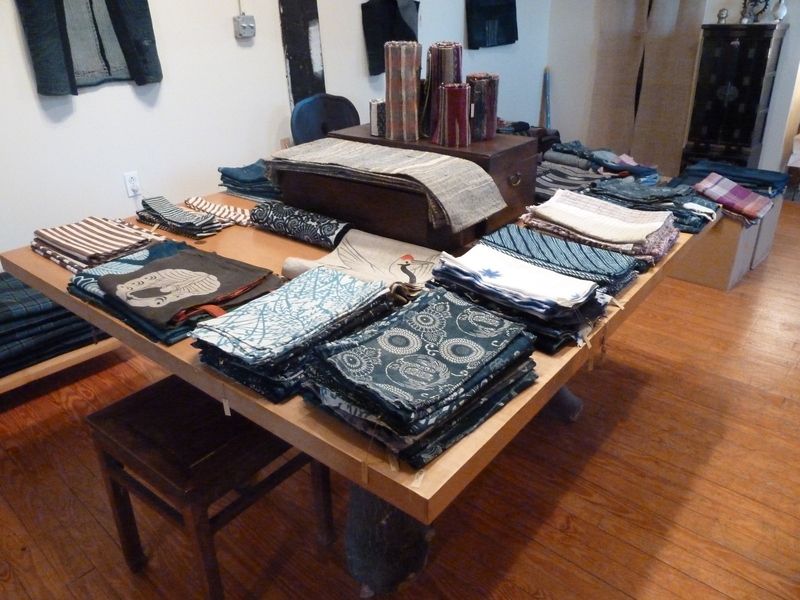 WIsh I was living in New York..
Looks like a very nice space to spend time with these fabrics. 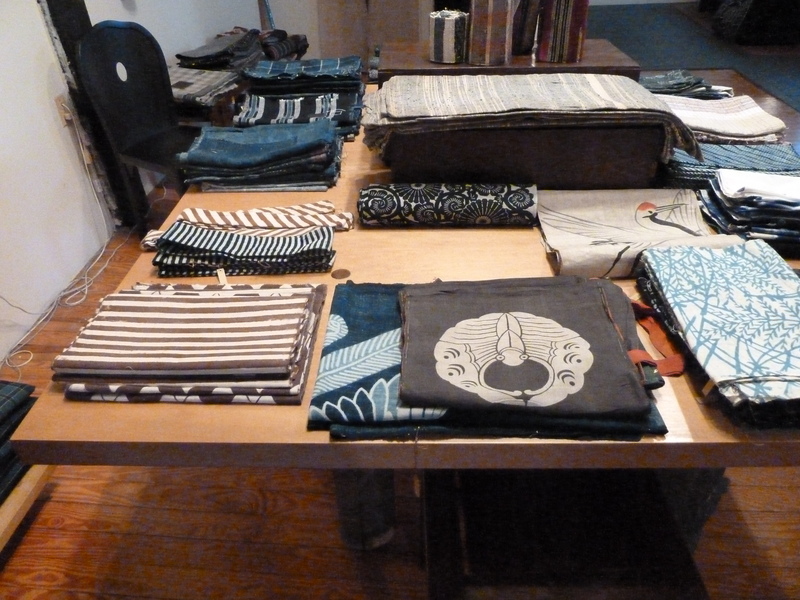 It’s true – buying antique Japanese textiles online can’t compare with the tactile knowledge gained by handling them.